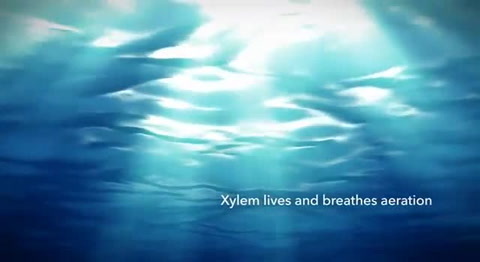 Xylem's Sanitaire Silver Series II membrane disc diffusers feature a unique split pattern and slit shapes, which disperse air bubbles in an extremely fine and uniform pattern for high oxygen transfer efficiency. The specially-blended, high grade EPDM elastomer compounds resist degradation that’s common to other membranes, and delivers over 10 years of proven performance. Lower energy consumption and raised operating efficiencies are made possible by the unique membrane shape, integrated O-ring, and top-sealing threaded retainer ring, which eliminates leakage. A highly effective, integrated check valve enables the aeration zones to be easily shut down for air-on/air-off applications. Sanitaire patented pipe joints are designed to withstand thermal expansion and contraction, water hammer and other dynamic stresses, while pipe supports allow infinite height adjustment for accurate grid leveling. Spline joint design makes it easy to install and eliminates the risk for installation errors for contractors. Piping and other elements of the Silver Series II system are fully interchangeable with Sanitaire ceramic disc systems. Saddle and Screw-on - 7" and 9"